Barracuda Studios is proud to announce the release of 5 new products in the BarracudaCast resin detail set line. These sets are now up on the website and available for pre-order. Shipping will begin on Monday, April 25th. The first three sets continue the upgrade line for the superb Tamiya Spitfire VIII, XI and XVI kits. These sets provide an extra level of superdetail not possible in even the best injection molded kit, and the Tamiya Spitfires are certainly the very best injected airplane kits ever produced. For modelers who want to take their Spitfire's "to eleven", BarracudaCast has the parts you are looking for! Designed to replace the kit lower sidewall for the Tamiya Spitfire VIII, IX, and XVI. This set also includes the missing remote contactor. The new resin sidewall has been molded with all the complex plumbing of the windscreen de-icer system, as well as the oxygen line. A number of other details have been added including new stringers with hollowed out ends and additional electrical wiring. The remote contactor, missing in the Tamiya kit, was fitted to all Spitfires until well into 1944. Full color detailed installation instructions round out this new set. 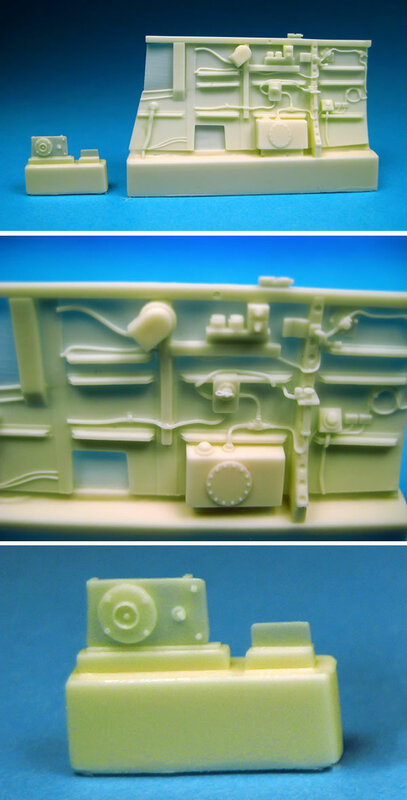 This set can be modified to fit into any 1/32nd scale Spitfire kit, as the port sidewall remained virtually the same from Spitfire Mk. I through the Mk. 24, and all Seafire variants. This treaded tire was fitted to Australian Mk. V Spitfires, and any other Spitfire with 5 slot wheels that needed additional traction due to harsh operating conditions. This style of tread was referred to a Z-block, for the distinctive Z shaped tread blocks that wrapped onto the side walls.The tread pattern has been accurately depicted, including the narrow ribs that connected the blocks. A great looking pair of wheels that will set your Spitfire model apart. Designed for the Hasegawa and Hobby Boss Spitfire V kits. This treaded tire was fitted to Australian Mk. VIII Spitfires, and any other Spitfire with 4 slot wheels that needed additional traction due to harsh operating conditions. This style of tread was referred to a Z-block, for the distinctive Z shaped tread blocks that wrapped onto the side walls. The tread pattern has been accurately depicted, including the narrow ribs that connected the blocks. A great looking pair of wheels that will set your Spitfire model apart. Designed for the Tamiya and Pacific Coast Models Spitfire VIII kits.